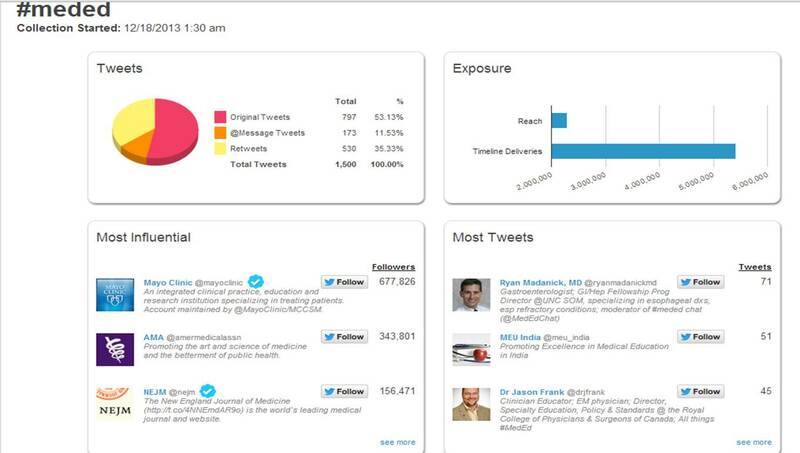 Using the Hashtracking Explorer Report, I have screenshot this current snapshot of the #MedEd hastrack to show its reach, number of tweets and most influential users. You can view the full report by clicking here. Click on image to view in larger window. Previous Post How Did Doctors Use Social Media In 2013?